In group B, Spain must win to avoid drama of the improbable as Iran would fancy their chances of beating Portugal. Iran haven’t lost hope, on paper they were supposed to be the whipping boys of the group but they have three points in two games and only lost to Spain, football super powers and it wasn’t without a fight, in fact, they had a goal cruelly chalked off for offside. 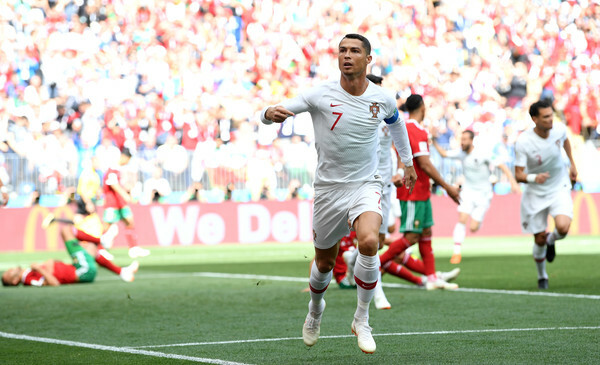 Portugal are obviously riding on the wings of Cristiano Ronaldo who has scored all their goals in the two games they have played, including the sensational hat-trick against La Roja in their group opener; Portugal haven’t really played well, they were troubled by Morocco who could have gotten a result if they had finished some of the chances they created. Iran is managed by former Real Madrid manager, Carlos Queiroz, a defensive minded coach with lots of discipline knows it isn’t impossible for Iran to qualify, they will sit deep and look to hit Portugal on the counter. Portugal must be watchful, Ronaldo will be up for this, set pieces, long-range screamers and running in behind the defense, it would be a cracker.